The design and construction of this special operations backpack makes it a suitable comprehensive tool kit for any conventional EOD/IEDD team to deploy with. 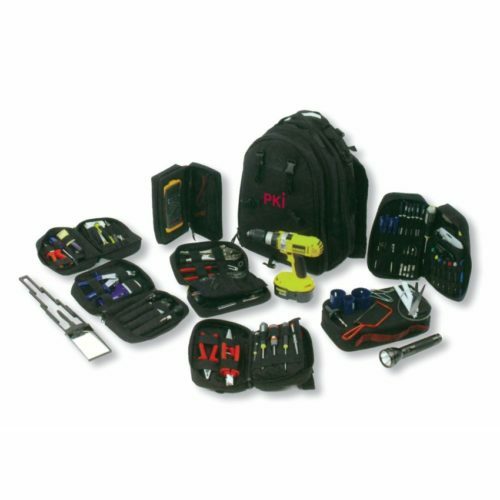 The internal colour-coded compartments of this tool kit are designed to hold the specific tooling in a range of removable internal pouches and fixed netting compartments. Layout is based on tool set grouping and operational precedents when using manual equipment. The layout may be changed at the operator’s discretion. The backpack has also been designed to include extra free space allowing the operator to insert some of their own personal equipment. All the tools have been selected for their quality and reliability with some of them offering multi role capability to reduce total weight. The tools offer the capabilities for search, access, diagnostics and render safe.